The Exchange Management Shell icon may be missing from the Start screen of an Exchange Server 2013 Service Pack 1 server. An overview of the new management tools in Exchange Server 2013, including the new web-based Exchange Admin Center. A review of Z-Hire Employee Provisioning App, which automates the IT account creation process for Exchange mailbox, Active Directory, Lync accounts and Office 365 cloud deployments. The Exchange 2010 management console may display an initialization error due to mismatched versions. 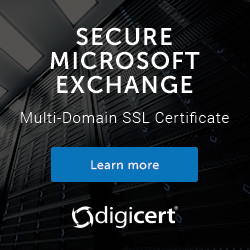 The Microsoft Exchange Team blog posted about an issue people are experiencing in the field in which certificate revocation status check failures prevent you from assigning a certificate to any Exchange services. Here I demonstrate how to use proxy settings to work around the problem in some scenarios.